Purchase store credit and get more back! Choose the amount you want from the list and make your money go further! Store credit does not expire, so save it and use it whenever you want! 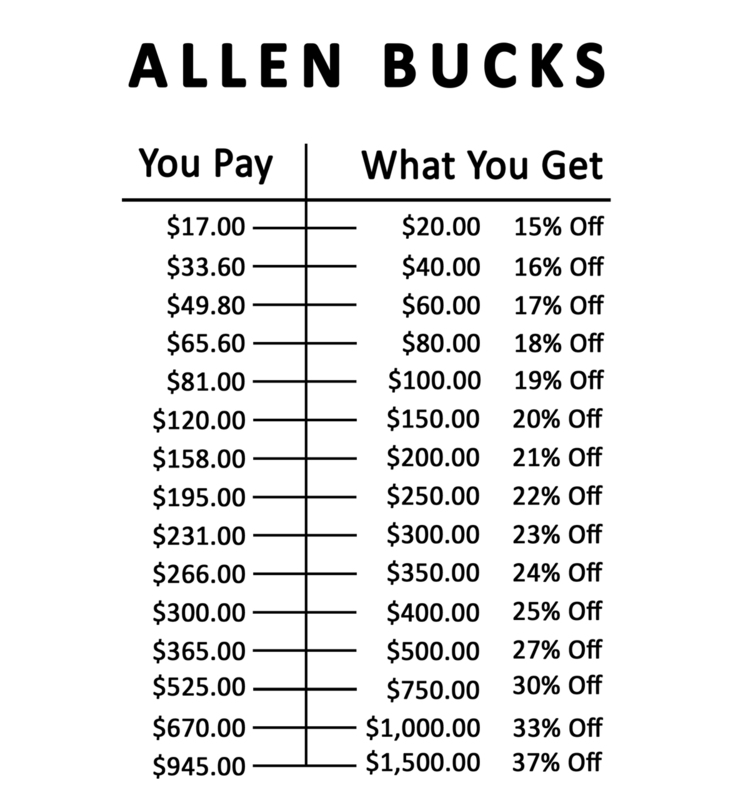 Allen Bucks are credited directly to your Allen Fly Fishing customer account within 3 days of purchase. Credit is not redeemable until it is activated on your customer account. 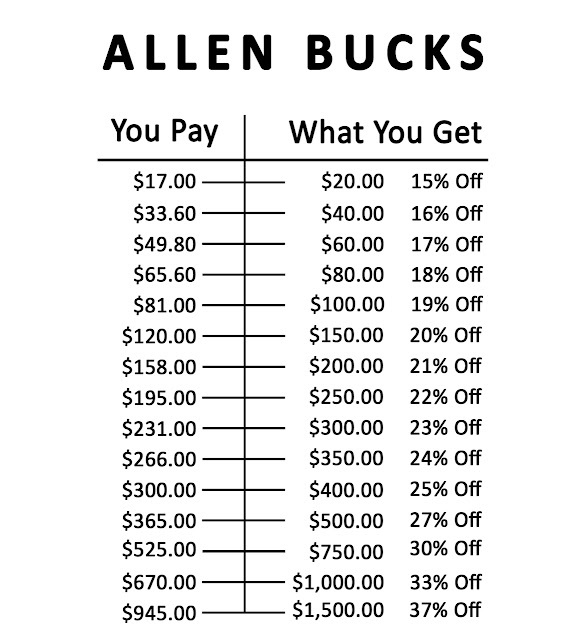 *DO NOT CHECKOUT AS A GUEST WHEN PURCHASING ALLEN BUCKS! The order must be placed under your Allen Fly Fishing account to receive store credit. 1) Allen Bucks are not eligible to be purchased with previously acquired store credit. - If you already have Allen Bucks in your account, please select "Pay using an alternative payment method" so that previously acquired Allen Bucks are not applied. 2) Cannot be used to purchase sale items or other discounted items. 3) Limit one per customer. 4) Not redeemable with any other deals or coupon codes (purchases made with Allen Bucks cannot be coupled with any coupon codes). 5) VIP pricing program members (Guide, Military, Pro, Angler's Club, etc.) are not eligible to purchase Allen Bucks. Any order violating the rules above will be cancelled.